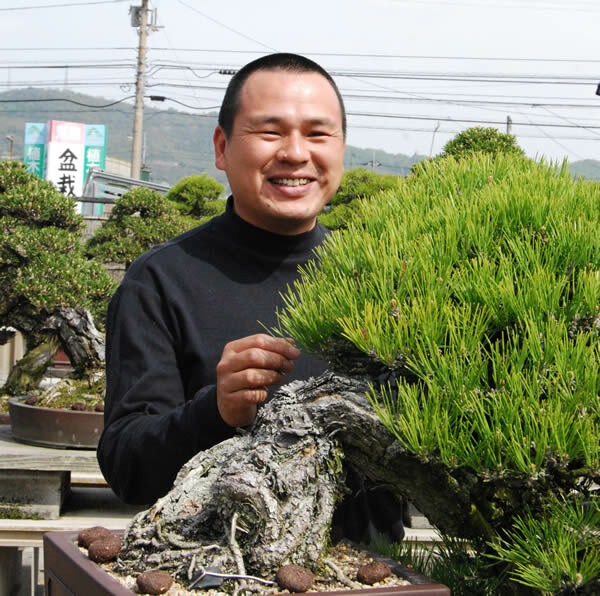 Yoichi Nakanishi, the fifth owner of the Nakanishi Chinshoen bonsai garden, is one of the young, new generation of bonsai artists who will play a key role in promoting bonsai culture in Kagawa Prefecture. Nakanishi was enthusiastic about soccer in his childhood and played in national soccer meets. When he was a university student, he hoped to run an ''izakaya'' Japanese-style pub. But bonsai was always close to Nakanishi. He said he may become a bonsai successor some day. After returning home at the age of 22, Nakanishi began to learn bonsai from his father Teruaki and various other artists. A smiling Yoichi Nakanishi is hard at work. Nakanishi Chinshoen's main products are large-sized kuromatsu (Japanese black pine) trees. His works are steady. ''Bonsai is not something stiff or formal. It offers a chance to enjoy the season casually,'' Nakanishi said. ''I'd like to offer more chances for people to have contacts with bonsai and get them to enjoy it.'' Nakanishi has created various innovations to bonsai shelves in his garden and a variety of ways to display bonsai at the garden entrance, helping visitors to his garden to enjoy bonsai in a relaxed manner. The number of visitors from the United States and Europe has increased thanks to the Internet. The foreign students are studying bonsai at Nakanishi's bonsai garden. A Japanese garden-style drive at Nakanishi Chinshoen (File photo taken in July 2008). 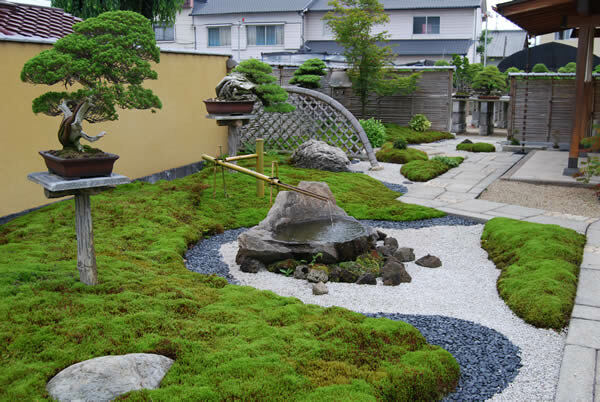 Nakanishi is trying to resort to various means for promoting the traditions and attractions of bonsai. ''I think bonsai is traditional culture and at the same time has won increasing popularity as a healing taste. I wish for more people to find bonsai enjoyable and exciting,'' said Nakanishi, who will try to learn lessons from the past and discover something new for the future of bonsai culture.